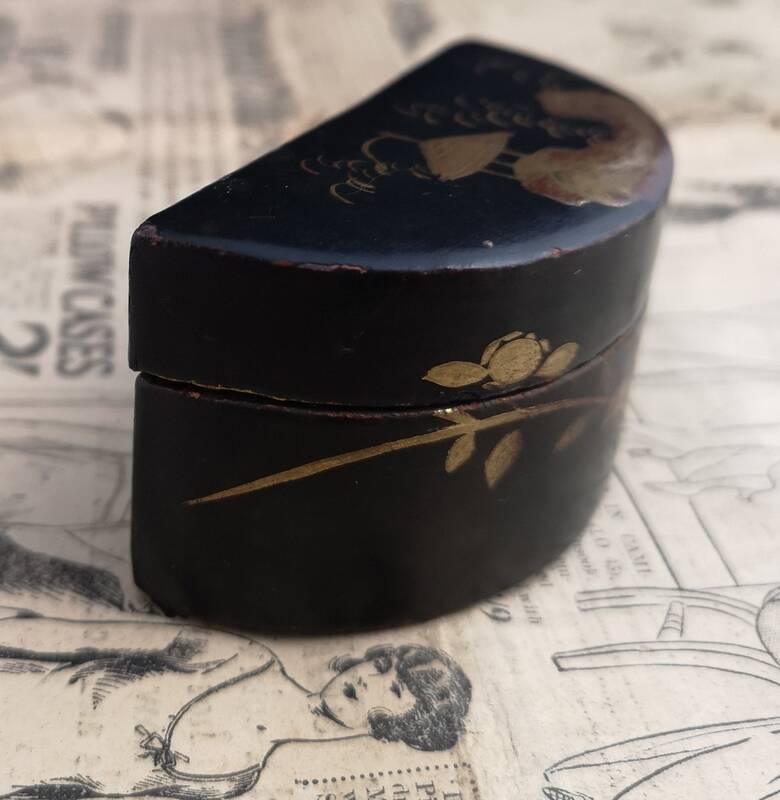 A very pretty and finely hand painted Antique papier mache box. 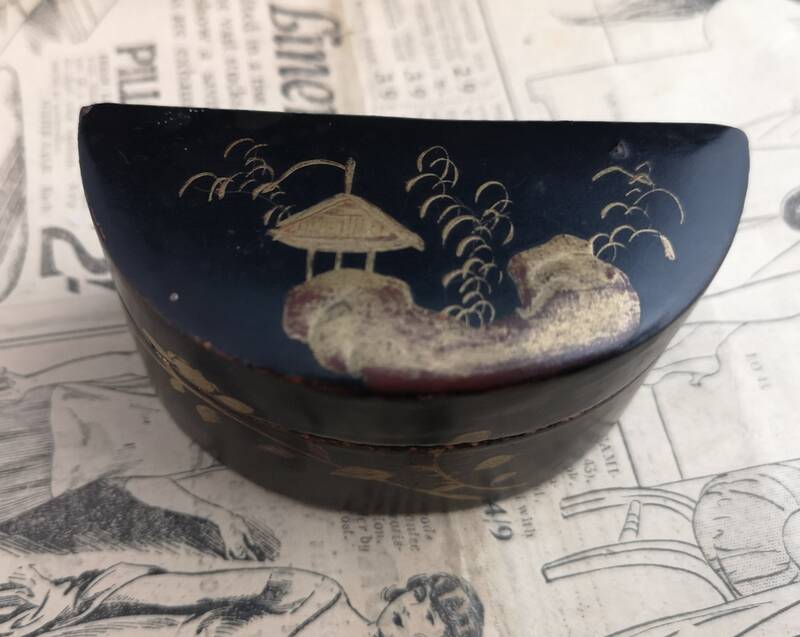 Victorian era c1880's it has been decorated in a chinoiserie style with a Chinese theme of plants, bamboo and a pagoda type building. 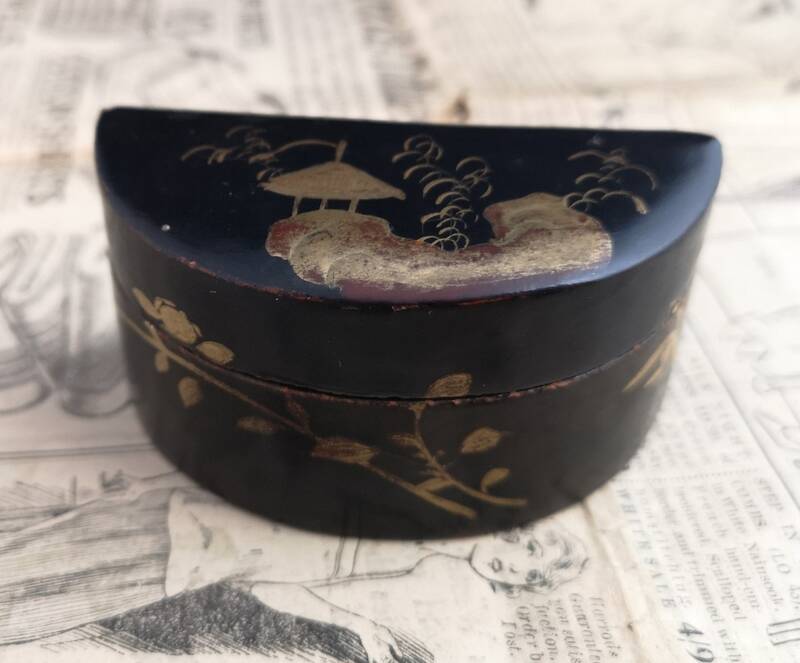 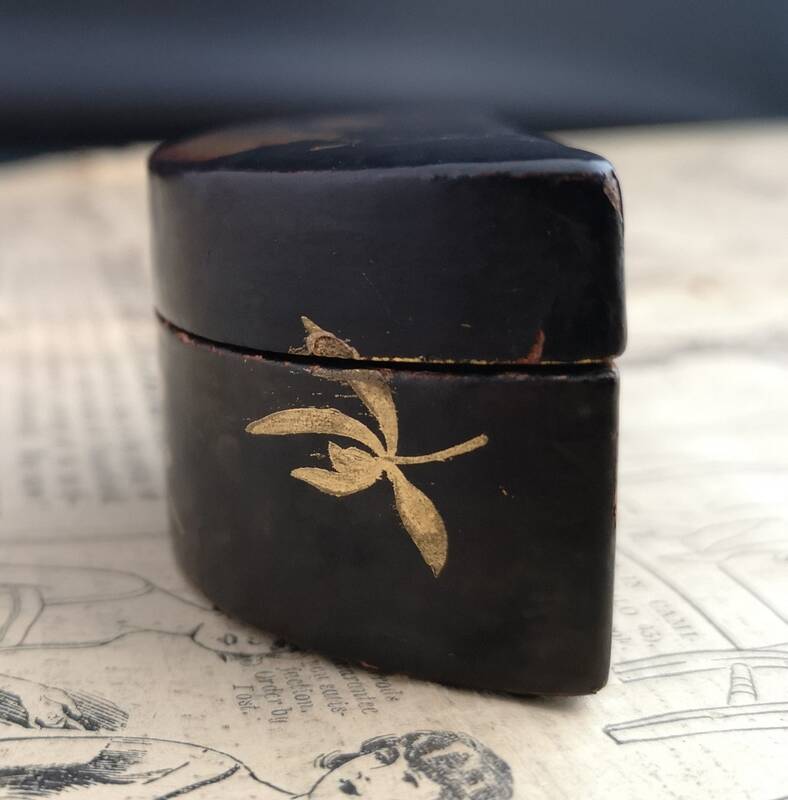 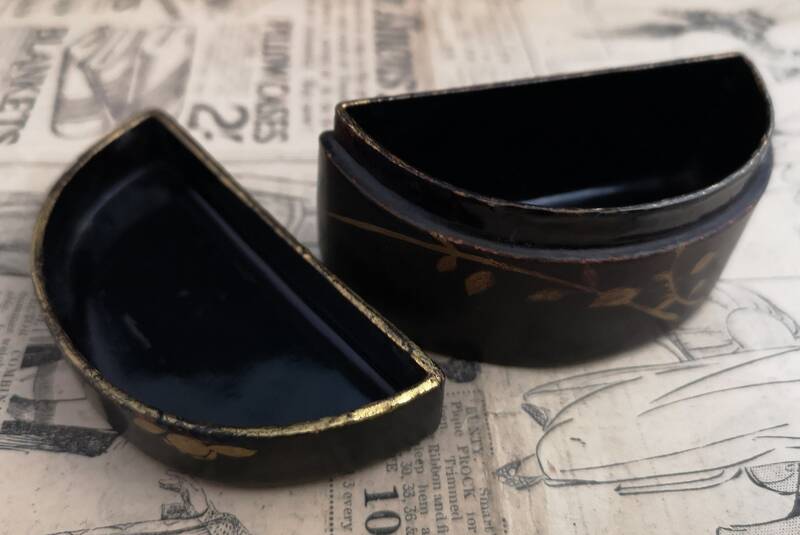 Typical heavy black lacquer with very fine hand painted ground gilt accents, the box has a push on lid that sits well. 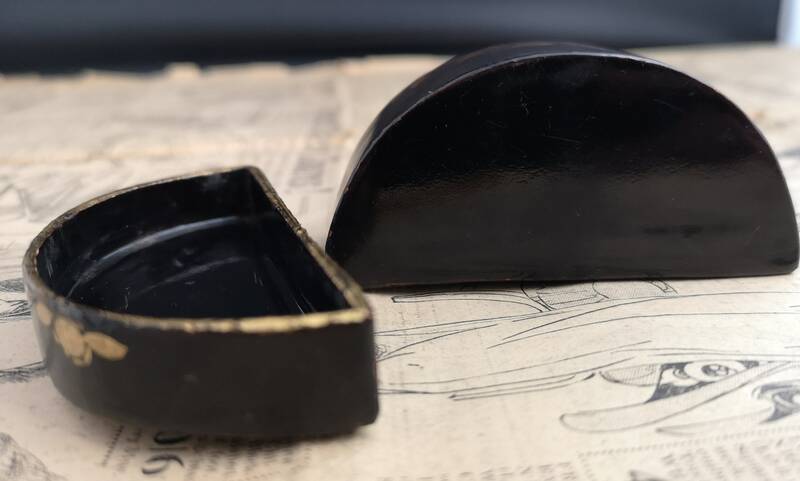 Semi circle shape, ideal size for small jewellery pillbox etc. 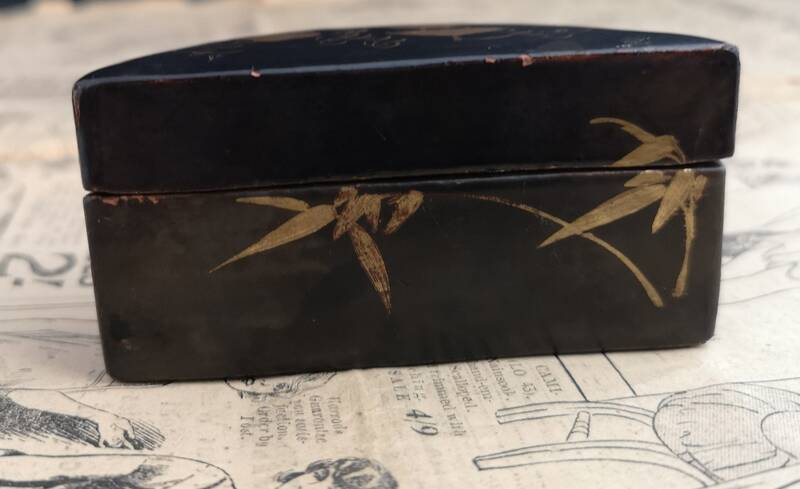 It is in good condition for the age, some crazing of the gilt paint and some general age related wear but nothing notable. 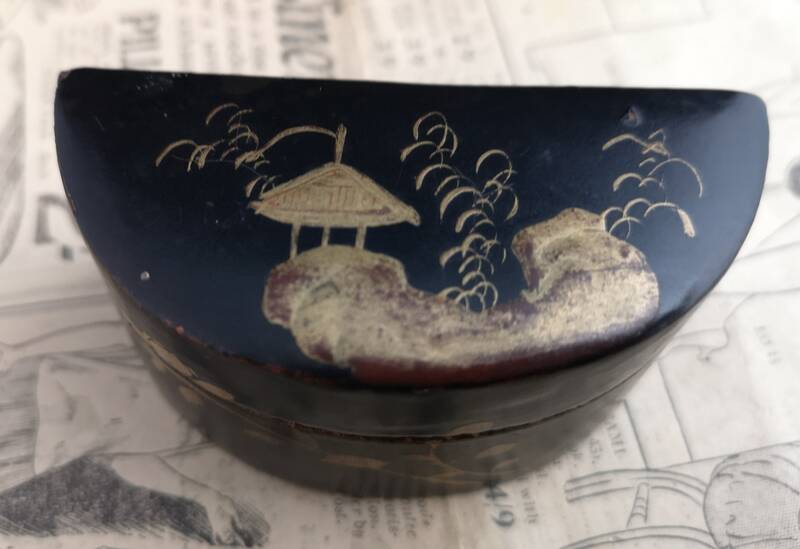 It is approx 3" width, 1.5" length and 1.5" height.